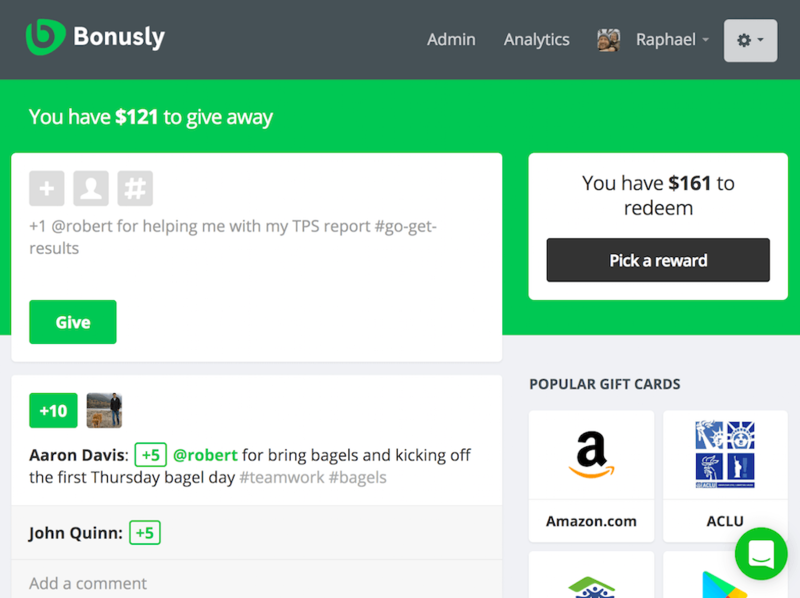 Bonusly solves your employee recognition and engagement needs with a social platform your team will love to use. Reduce turnover by fostering a recognition-rich culture that celebrates success everyday. Use Bonusly's people analytics tools to get unprecedented insights into your team's strengths, relationships, and accomplishments. Engage your mobile workforce with our native iOS and Android apps. Bonusly offers the most extensive rewards network in the industry. No matter where your employees are, they'll have meaningful and exciting reward to choose from. Share a continuous stream of timely, authentic feedback with your team. Bonusly supports recognition in all directions: employee-to-employee, manager-to-employee, employee-to-manager, and manager-to-manager. Designed to scale up to the largest enterprises, Bonusly provides 24x7 uptime and requires virtually no IT administration. 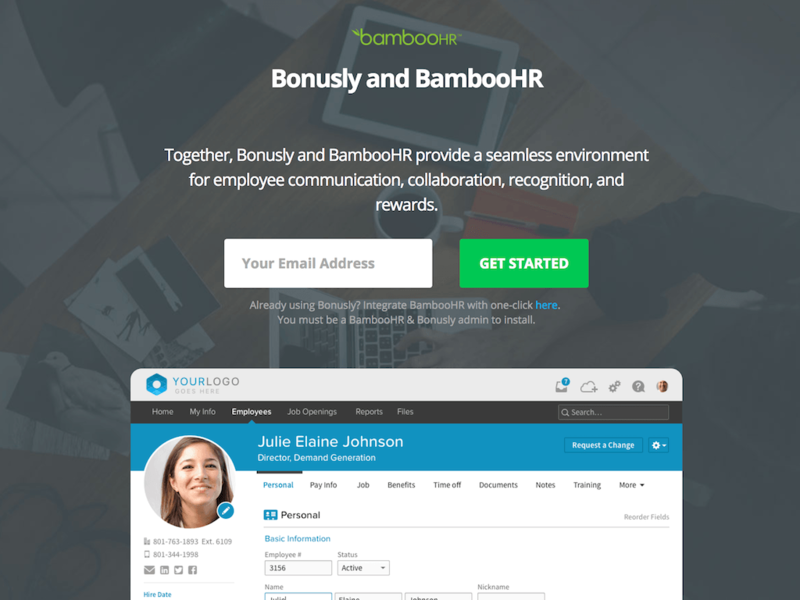 With the BambooHR integration, customers can fully automate their Bonusly recognition program: * All new hires are automatically added to Bonusly and kept up-to-date. Any termed employees are automatically removed from Bonusly. * Advanced reporting and data segmentation: filter and sort reports and analytics on Department, Location, Division, and other demographic data. * Automated Service Awards and Birthday Bonuses: Never forget an important date! Automatically recognize service anniversaries and birthdays.